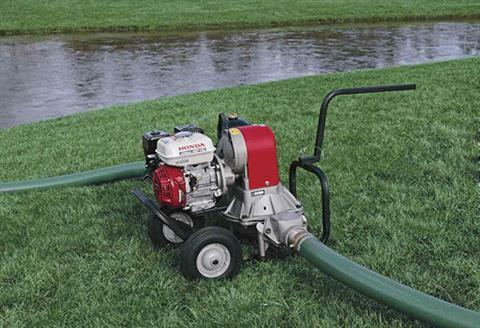 IDEALLY SUITED FOR MUDDY WATER, SLUDGE, OR ANY WATER WITH A HIGH PERCENTAGE OF SOLIDS: Honda’s WDP30 diaphragm pump is a positive displacement pumps that can pump thick sludge or water containing large solids. Instead of an impeller and a volute, diaphragm pumps use a neoprene diaphragm. 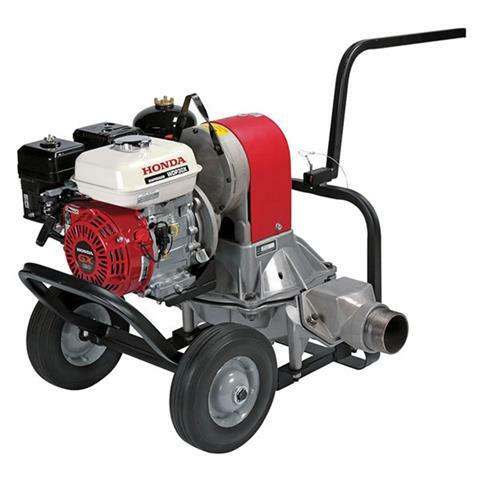 The WDP30 offers an exceptional value for construction, industrial, and agricultural applications. HANDLES SOLIDS UP TO 2.4 IN. : With 3 in. ports, the WDP30 can easily pass solids up to 2.4 in. PERFECT WHEN LOW VOLUME, DRY RUN CAPABILITY IS REQUIRED: Because it can run without water, the WDP30 is perfect for areas with slow seepage. For example, work sites where groundwater is slowly seeping in. With Handlebar over engine - 25.7 in. 20 sec. @ 20 ft.